On November 12, the Canadian launch of the DISARONNO wears VERSACE event took place at The Spoke Club Gallery in the city's King St. West district. The evening was in celebration between two iconic Italian brands. Disaronno — the world's favourite Italian liqueur has revamped its look in collaboration with the world's most reputable Italian fashion houses —Versace. The design combines the classic and recognizable shape of the Disaronno bottle with the signature decadence of Versace prints; creating a one-of-a-kind collectors item for both Disaronno lovers and fashion aficionados alike. 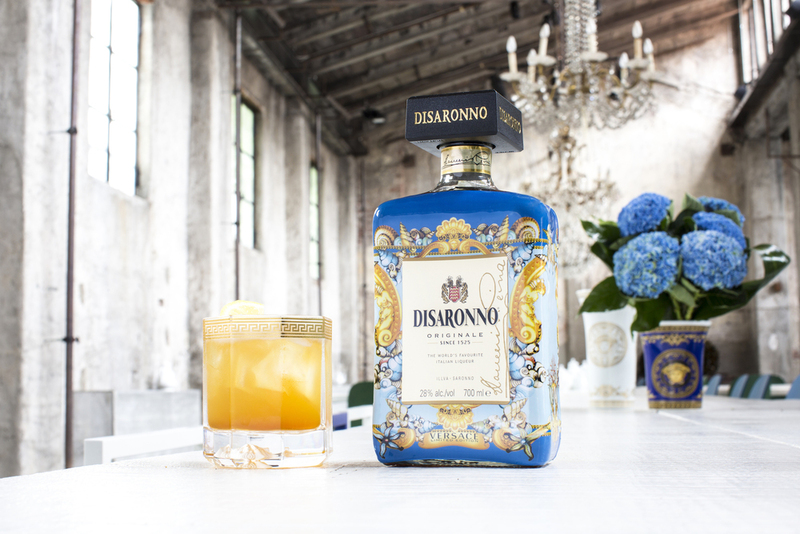 The DISARONNO wears VERSACE design takes its inspiration from the classic Versace Home Collection, draped in light blue and embellished with an opulent white and gold motif. As the crowd mix and mingled and took a few selfies against the Versace mural, they had a chance to sip on the night's signature drink, the Disaronno Versace Sour. Its collaborative unique flavours of Disaronno mixed with the sour notes of lime and bitter Vermouth and sparkling Prosecco, made for an enhancing bold blue colour of Curacao, garnished with a dramatic finish of real gold leaves — it’s a cocktail made in true Versace style. The DISARONNO wears VERSACE project also supports the Fashion 4 Development initiative; a charity sponsored by the United Nations that creates opportunities for women working in the fashion industry in developing countries. 'Tis the season of giving and this is just one more reason to add the exclusive bottle to your collection or give it as a gift during the holiday season. The DISARONNO wears VERSACE limited edition bottles are currently available at LCBO locations and other liquor stores worldwide. Be sure and get yours while they last!